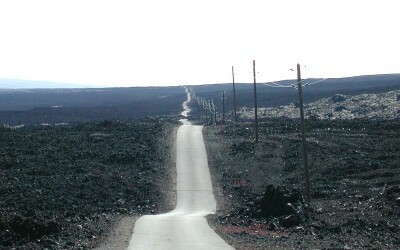 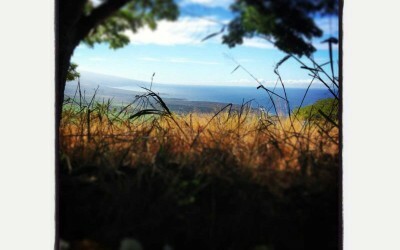 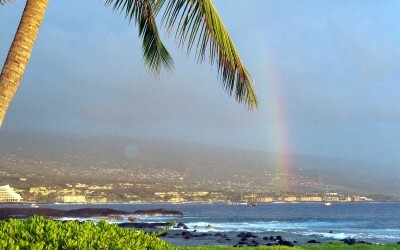 On a clear day one can see for miles along Hawaii’s Big Island Kona coast. 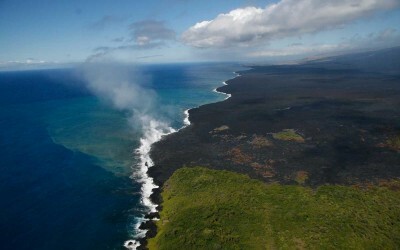 In Hawaiian the word “kona” means the leeward side of the island–as opposed to the windward side–and is generally to the west. 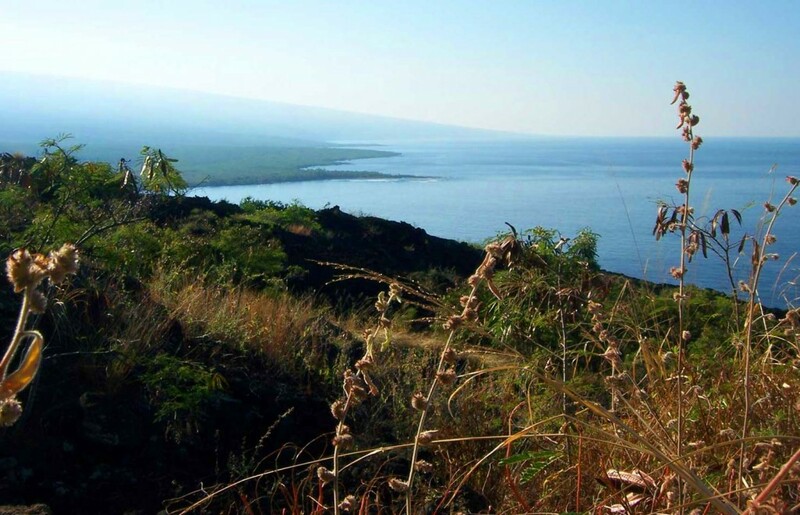 Mauna Loa can be seen rising from the ocean in the distance with several bays between from the spot of this picture near Kealakekua Bay. 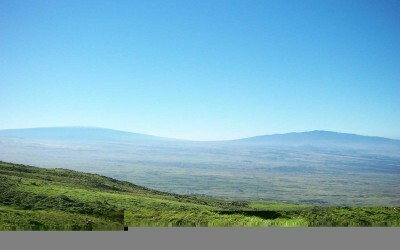 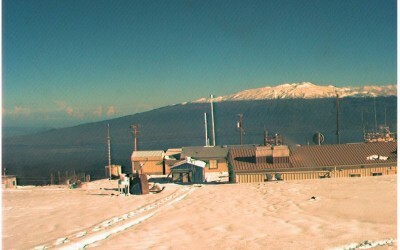 The whitish haze is a combination of humidity and the now familiar Big Island “vog.” The vog, or volcanic fog, is composed of ash, dust, and sulfer dioxide that originates from within the island and shoots thousands of feet into the atmosphere through vents in and around the Kilauea caldera.